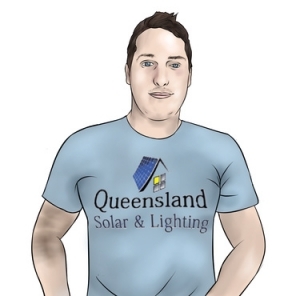 Daniel will always try and offer you the best deal on a Solar Power System in Brisbane and Gold Coast regions. Daniel is also an SEO specialist. He has made himself a strong specialist, with lots of knowledge in just 5 years in the SEO industry. Explain and offer to Canberra’s ACTewAGL customers exclusive discounts and tariff rates. Most importantly help introduce the 44.7c GROSS feed-in Tariff that ACT residents were so lucky to have on offer for them! Solar Power was too lucrative at one stage! He likes to think he is an honest guy with good ethics, so don’t be too confused when he even suggests that you get other solar quotes and opinions elsewhere. Daniel wants you to be happy with your solar system purchase, no matter where you buy it from. or over a few beers or glasses of red wine. Daniel is a sufferer of full-blown Phenylketonuria (PKU), This means that he always has elevated levels of PHENYLALANINE, which causes severe mental retardation – some say Daniel is well and truly on the way. Daniel recently visited North Korea in July 2016! Daniel posing for a picture with the leaders – in his favourite shirt!